● It reduce the fuel consumption, stronger the durability and longer the life largely. ● Adopt brush, AVR and carbon brush voltage adjustor device. 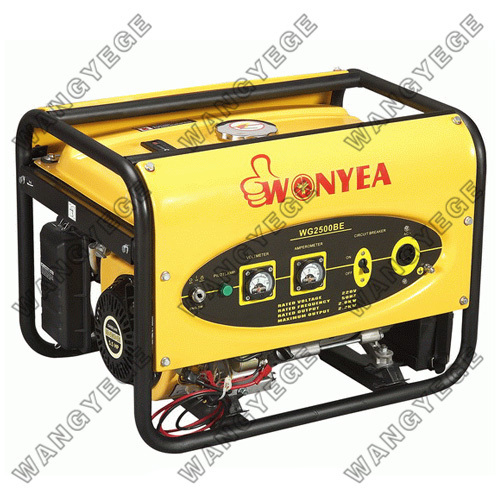 ● They make the voltage stay in more stable condition, make the alternator more steady-going and reliable. ● DC output and double voltage output will be offered as request. ● They possess the feature of starting fast, running steadily and reliable, shocking light,can save the money and time of maintain and mending for you. ● They are suitable for being used in families, villas, worksites and ships as electric power source for lighting purposes, stove, refrigerators and so on.